Scientists are appealing for public help on one of the biggest astronomy projects of the next ten years. 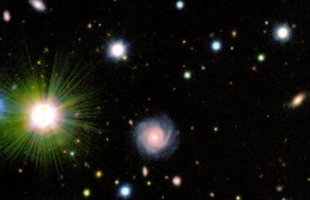 In a new citizen science project launched today—known as AstroQuest—researchers are looking for volunteers to study images of galaxies and figure out which light is coming from which galaxy. 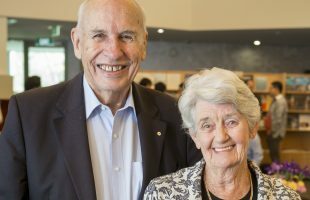 Passionate marine science and radio astronomy leader Dr Bernard Bowen passed away peacefully early this morning. 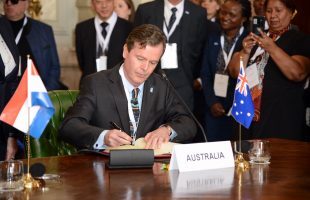 Australia has joined six other nations in signing an international treaty committing to the construction of the world’s largest science facility – the Square Kilometre Array (SKA). Dalkeith Primary School students have transmitted a ‘golden record’ into space, filled with illustrations, photos and messages for the Universe. 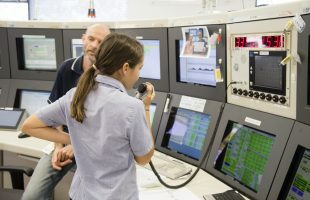 The Year 5 and 6 students’ transmission was sent this morning from the European Space Agency’s deep space antenna at New Norcia. 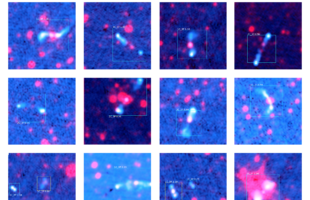 Researchers have taught an artificial intelligence program used to recognise faces on Facebook to identify galaxies in deep space. 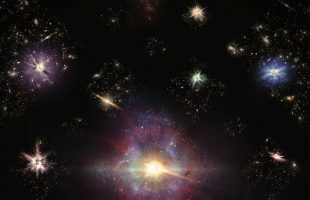 Two outback radio telescopes synchronised to observe the same point of sky have discovered more about one of the Universe’s most mysterious events in new research published today.